Inspired by narture's loving touch. 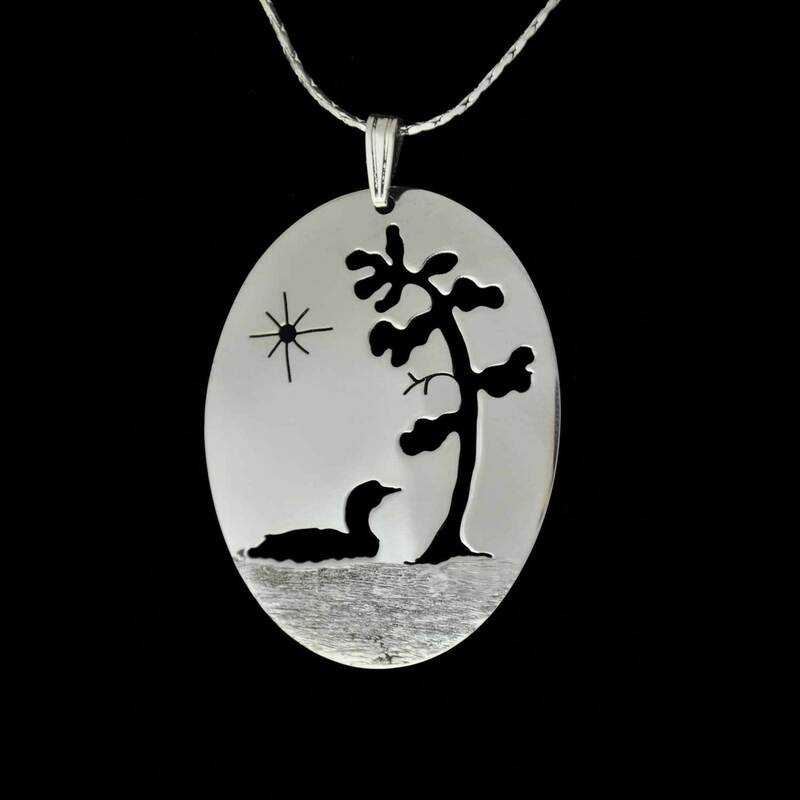 Cut from a sterling silver oval. 5/8" x 1 1/2" on a silver plated 18" chain.